I loved the views and location, right over a beautiful valley, and close to a nice walking trail. It's in a small old village that has only been re-inhabited for fifteen years. Also, the lunch and breakfast were great. And staff was nice. I love how friendly the staff is here. 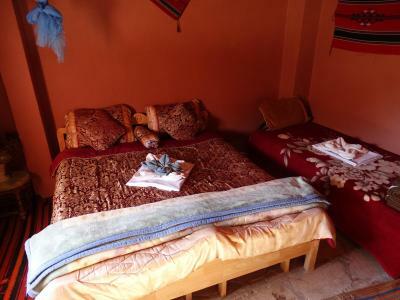 They are very hospitable and really made my husband and I feel welcome during our stay. Our buffet dinners here were also very good. Lunch and dinner was amazing! Best meal I had in Jordan! Really friendly staff, and evening meal was amazing. 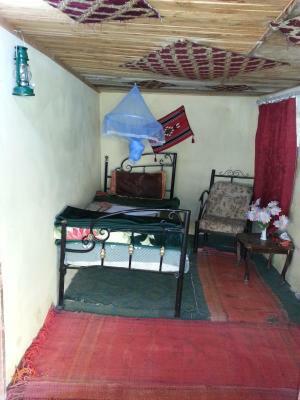 Room was nicly presented. Scenery is incredible. Mustaffa was extremely helpfull despite him speaking very little English. He even provided us with the location map of the free beaches and where to eat without us asking. The breakfast and dinner were very good. The whole building complex is very noteworthy and a sight on its own. 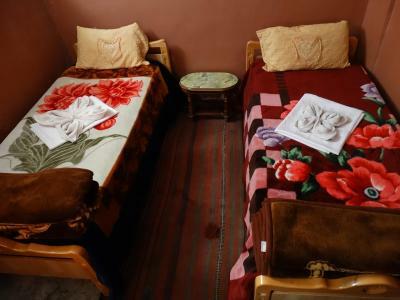 The village of Dana is also very attractive and its a nice scenic place to stay. Hotel was once a home to many families. Steep winding stairs getting to the rooms. Make sure you have dine in for dinner. The BEST food in all of Jordan! 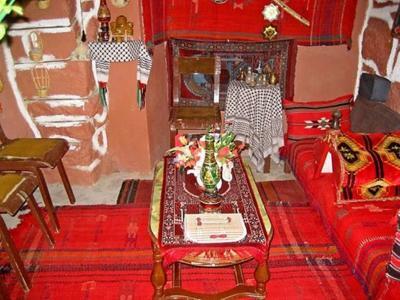 Exeptional guest house, a great experience to live in dana old village. He shows us self guided hikes around. The food was amazing, a must try. 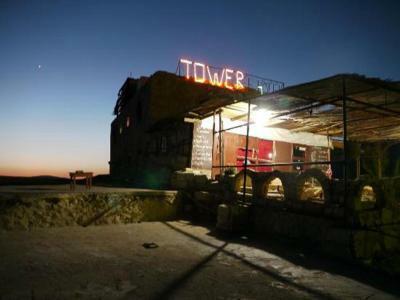 Offering a restaurant, Dana Tower Hotel is located in Ḑānā. Free WiFi access is available in public areas. Extras include a safety deposit box and a fan. At Dana Tower Hotel you will find a 24-hour front desk and a terrace. Other facilities offered at the property include dry cleaning and an ironing service. An array of activities can be enjoyed on site or in the surroundings, including horse riding and hiking. The property offers free parking. 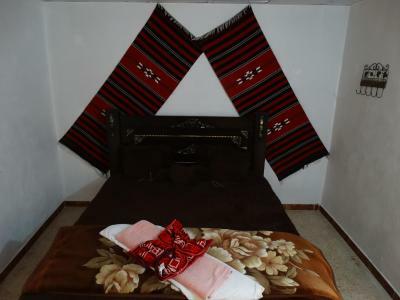 This property is also rated for the best value in Dana! Guests are getting more for their money when compared to other properties in this city. When would you like to stay at Dana Tower Hotel? Featuring carpeted floors, this room offers a balcony, a sofa and a shared bathroom fitted with a shower. 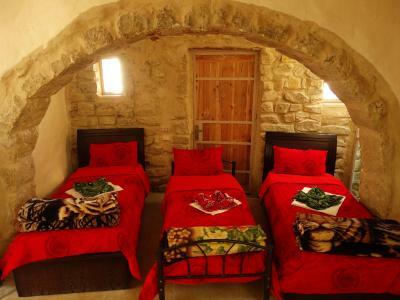 Featuring carpeted floors, this room offers a balcony, a sofa and a bathroom with a shower. This room offers a fan and a bathroom. 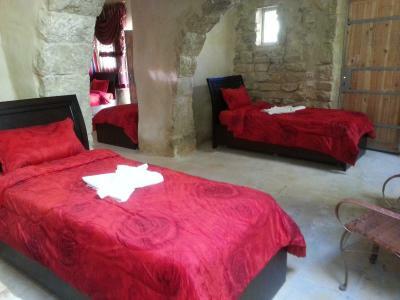 This room offers a fan and a bathroom with a shower. House Rules Dana Tower Hotel takes special requests – add in the next step! One child under 6 years is charged JOD 6 per night when using existing beds. Any additional older children or adults are charged JOD 12 per night for extra beds. Dana Tower Hotel accepts these cards and reserves the right to temporarily hold an amount prior to arrival. the food, fantastic location and general ambience of this hotel cannot be over emphasised. 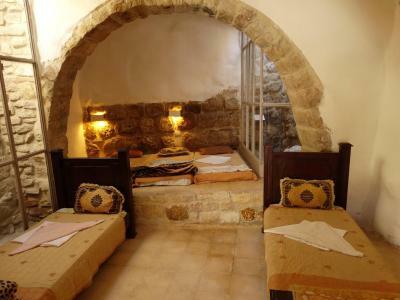 It must be one of the best places to stay in Jordan for someone keen on the outdoors. Fantastic location, great staff and lovely food for breakfast and dinner. We didn’t like having to beg for toilet paper. We were very disappointed that our heater ran out of propane on our first night, especially because it was 2 degrees that night. When we told them that the tank ran dry after an hour of running, they said they will get us one for the next night!!! We absolutely FROZE! The dinner was spectacular....great variety of food for a great price. The bathroom almost never had toilet paper, so be sure to bring your own. Dinner buffet was fine, but if you are very hungry and vegetarian, you could still feel a bit hungry. Location was great. Roof terrace was amazing. Staff is very friendly. They provide good dinner as well. They also help you in arranging transport after you hike the Dana Valley hike. 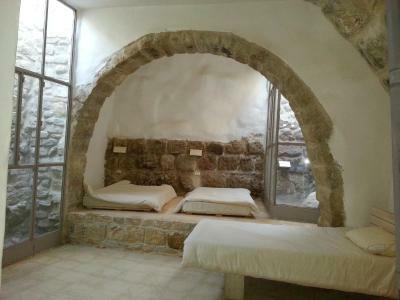 Very basic accommodation, but in Dana it's value for money. There were 2 shared bathrooms which was not enough although always clean. The 2nd bathroom also needed an upgrade - hot water, hooks to hang clothes etc. Meals were great. Lovely atmosphere encouraging people to chat. Bathrooms were always clean and dry. The shower was broken, it was impossible to use. Room not clean. The location in Dana village was great, we appreciated the sunset view from the terrace on the top. The staff was very helpful and friendly, superlative the buffet dinner with 20 different dishes available. Really good dinner buffet for 7jd, its good value for money and the cheapest bed you will find in Dana. A great place to visit Dana Village. Its a bit cold in the evening (April) but there is a heater in the room. You can order breakfast (4 JOD) and dinner (8 JOD) and I really recommend it as there is a limited offer in the village and the food was delicious. The staff are really nice, helpful and caring constantly making sure you're ok. We went for a short walk with a guide (3h 30 JOD), it was a great experience with fantastic views and tea made half way but the hotel offers all kind of tours (longer, with lunch, whatever you feel like). For breakfast there was a choice of: hard boiled eggs,hummus, spread cheese, tomatoes, cucumber, bread,and other things I forgot but there was a lot to chose from. Room not clean, could do with a lick of paint. Very cold, need to bring a sleeping bag. In Family room, there is no Wi-Fi signal. You have to go out to the street or to the lounge. Family Room is stylish, well refurbished.